This tiny Chinese computer is called the MK802, and weighs a little under 200 grams. The device is compatible with Android and other ARM compatible Linux based operating systems, and ships with a single core ARM chip and 512 MB of RAM. It also has a microSD card slot, 4GB flash storage, a regular sized USB port, a micro USB, and Wifi support. 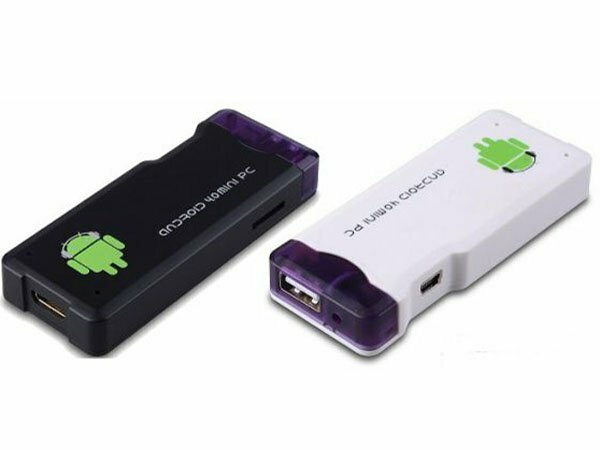 Despite its tiny size, this little micro mini me PC can even output 1080P video via HDMI thanks to its Mali 400 GPU. Crazy right? The MK802 can be purchased for the very low price of 74 US dollars, which includes free shipping to the US and many additional countries. For anyone interested, it can be purchased here. The concepts behind these low cost computers are really brilliant, and they could really make a huge impact as educational tools for children in less developed countries. It's just crazy to see the how far computers have come in the last 15 years. What used to take up your entire kitchen table can now fit in your wallet. It has usb and mini usb. One has to be for power and the other for usb devices like hard drives or wireless keyboard dongles. I'm tempted to try this as an alternative to my current PC media centre. Just need to verify that it will read usb hdd. Android is the operating system, it's the app that make it sing. What can you use it for? What can't you use it for, it just needs the right app. Out of the box, if that USB will read external drives you could have a realy cool portable media center. If you know someone who can code an app it could be a realy compact controller for serious hobby projects, say a home built 3D printer. I think its awesome. Gonna have to buy one! This is good for someone who either doesn't own a Windows machine or just who wants another gadget to tinkle with (me). The specs are more than decent though, thinking about getting it. Thats what Im wondering! The concept is cool, but I just wonder exactly HOW to use it! Do you have to install this on your pc? Or is it plug n play? Thatd be for people who have a phone that doesnt get an update. I would literally flush the entire PC down the toilet. I've dreamed of doing that many times, but with this one it's actually possible! And when it doesn't react it gets chucked out of the office window. :-D $74 well spent. HAHAHHAHHAHA! Will do! I really want one though. Im serious! I imagine myself just staring at it laying on my desk the entire day at work having no idea what to do with it.